Do you ever come across a dog that you just get a feeling about? Well that happened when I met Riley. When I met her she was only 4 months old. I’ll never forget that day. 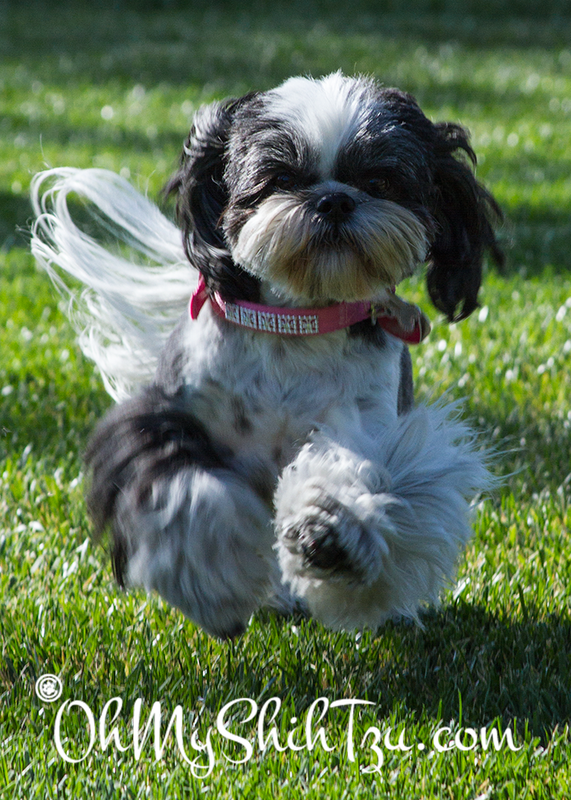 A friend in rescue let me know that she saw a shih tzu on craigslist and that I needed to rescue her ASAP. Because we all know of the stories that can happen to little dogs on craigslist. So I gave them a call and agreed to meet in the parking lot of a McDonalds. She explained to me that she couldn’t deal with the fact that at 4 months old the puppy wasn’t potty trained. SERIOUSLY? Well, the transaction was made and I was off to the vet for her first check up. Now one thing I recommend to everyone and anyone is to take your dog to some sort of training class. Luckily for Riley I was giving puppy classes at a local dog training facility. So once she had her second set of shots, off to class she went! I am not a fan of dog training at places like PetsMart or Petco, so to find a good dog trainer in your area, I suggest visiting the Association of Pet Dog Trainers (APDT) for a qualified trainer. I also recommend that the classes for your puppy be off leash for proper socialization for puppies under 20 weeks. From her first puppy classes, Riley was a friend to all puppies large and small, and social to fellow puppy owners. In addition she picked up on all basic commands. I am a huge fan of positive reinforcement training and with that I use clicker training. The funniest thing about Riley is that while she was growing up we would call her “Giganti-Shih Tzu” because of her huge paws. She would run down that hall way and all you would see were these big paws coming out at you. Well, as it turned out she is a little bigger than most, weighing in at 19 pounds and about 1.5 inches taller than my other Shih Tzus. This works out perfectly for my as she now assists me as my service dog, for a non-life threatening illness. So I hope you enjoy her little antics as she assists me with my life and I have fun with her with little endeavors such as agility, canine freestyle and other doggie sports!